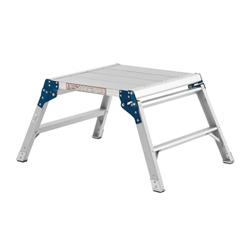 Step-up your game with our unique range of ZARGES ladders. Built from aluminium for a lightweight, easy to transport and safer solution. These high-quality ladders vary on size and design, some have multi-uses whilst others such as the ‘Loftmaster’, is a one-size-fits-all product with a telescopic ladder to compensate for different heights and storage convenience. Every ladder has been carefully considered, tried and tested and meets the requirements for a safe means of access. My Tool Shed also stock their hop-ups – simple to transport, store away and a handy for a low level platform whenever you need it. Use Zarges for your professional needs and a solid, dependable everyday solution.